IDC: PC UL94V-0, Accept 22-26 AWG Solid Wire. 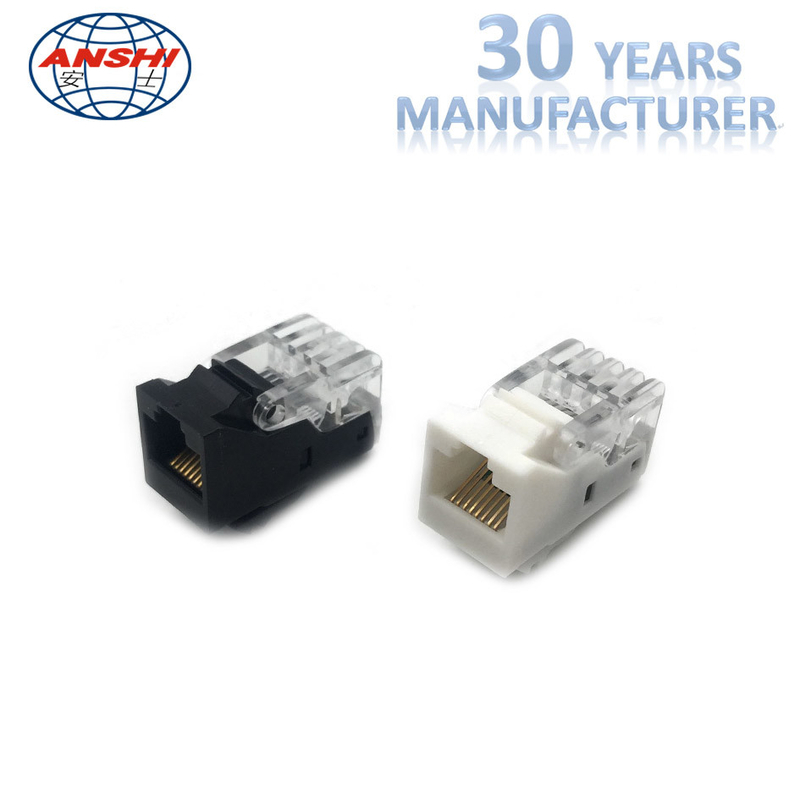 Contact: PC Ul94V-0, 0.45mm(0.018") Diameter Phosphor bronze with 3 U" to 50 U" Gold plating on contact area. 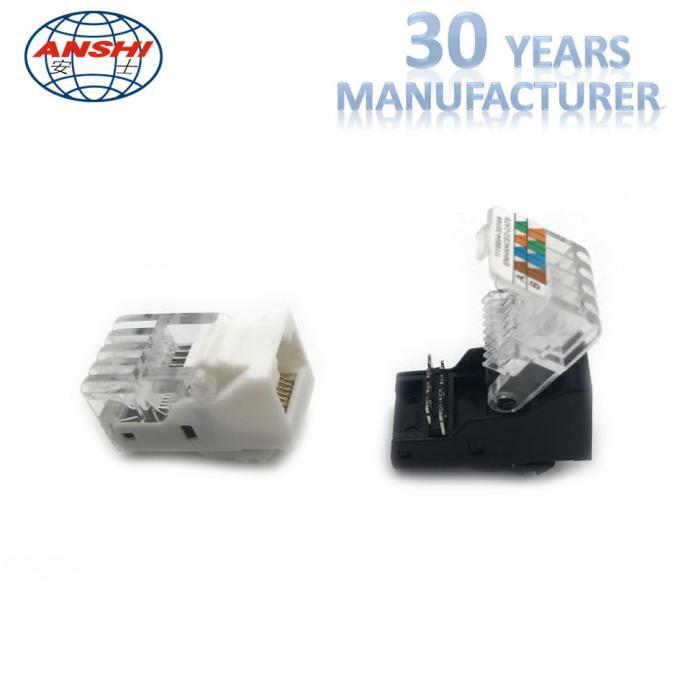 The RJ45 Cat5e keystone jack module is used for network communication in telecommunication field,together with patch panel,faceplate,patch cord,etc. 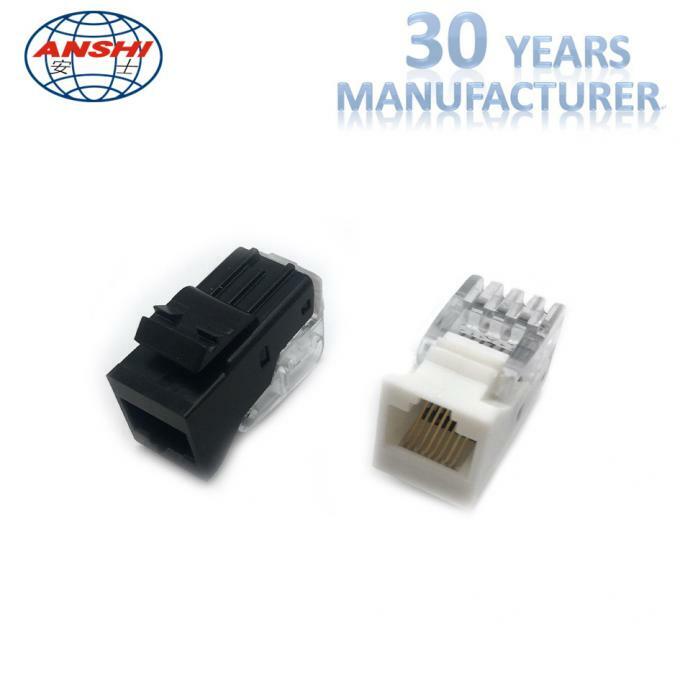 faceplate,patch panel(UTP,FTP),patch cord,cross connection block,network cabinet,network distribution frame,network distribution box, Cat5e communication cable,Cat3 communication cable. IDC Life :200 times MIN.